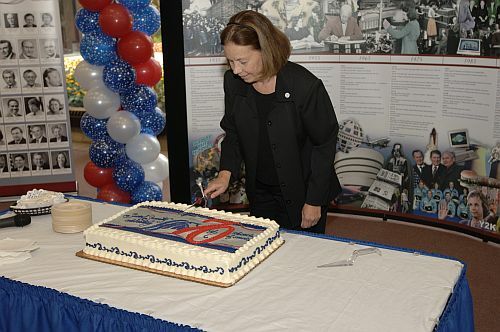 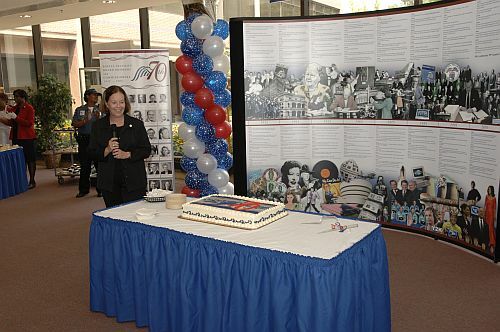 Commissioner Jo Anne B. Barnhart celebrates Social Security's 70th Anniversary at Social Security headquarters in Baltimore, Maryland. 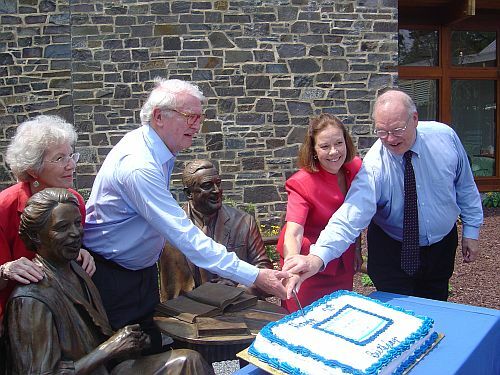 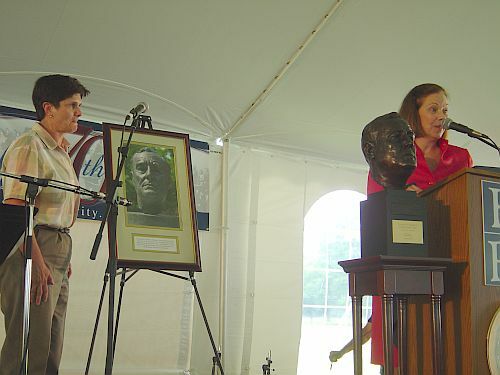 Jo Anne B. Barnhart, Commissioner of Social Security, presents a gift to the Franklin Delano Roosevelt Presidential Library on the occasion of the 70th Anniversary of the Signing of the Social Security Act. 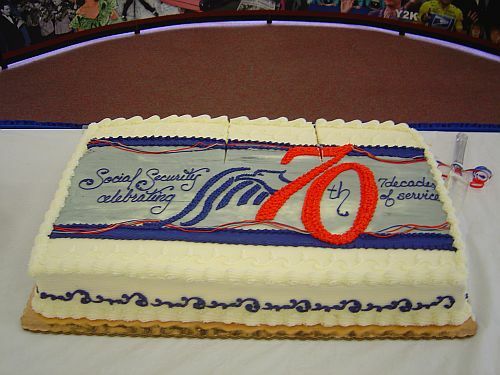 The pictured sculpture is a focal point on the grounds of Social Security Administration’s Headquarters in Baltimore, Maryland. 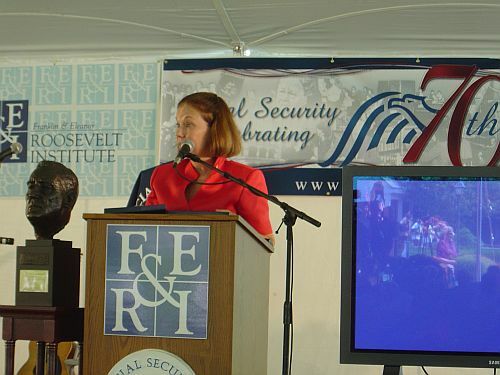 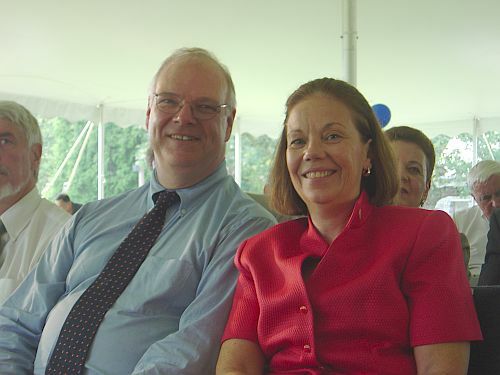 Deputy Commissioner Lockhart in Washington D.C.
Deputy Commissioner Jim Lockhart participates in a 70th Anniversary Celebration at a reception held at the Retirement Research Consortium Annual Conference. 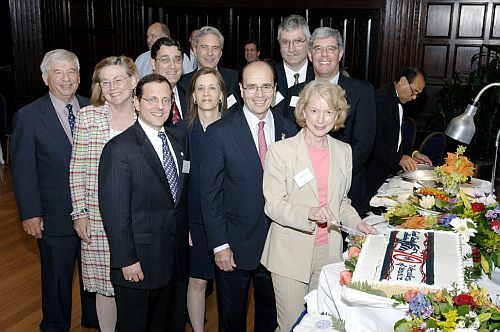 The conference was held at the National Press Club in Washington, DC, August 11-12.